I was a bit of a clumsy child. Actually, if I’m going to be perfectly honest, I’m a bit of a clumsy adult too 🙂 So my Nana, in her infinite wisdom, found a no-bake cookie recipe that even 7-year-old Karmen could manage without destroying the kitchen. To this day, Christmas isn’t Christmas for me without a jar of Aunt Bessie’s cookies in the house. Some people also call them macaroons, haystacks or poops. No one seems to know who Bessie is, but for us, the name stuck! 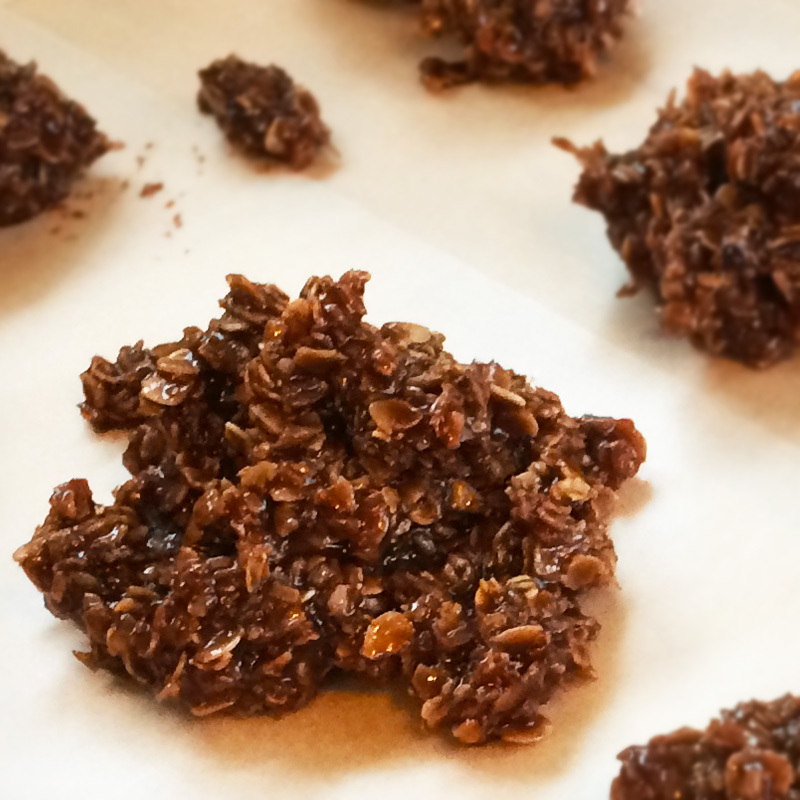 These no-bake, gluten-free gems are a great treat at less than 100 calories each. 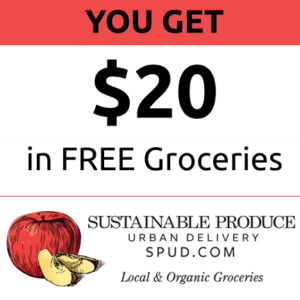 Plus, they freeze well if you want to keep some in the freezer for a quick snack. Yum! Melt butter in a large pot, while stirring. Once it’s completely melted, add the sugar and milk. Bring to a full rolling boil & boil for 1 min. Stir continually to prevent burning. 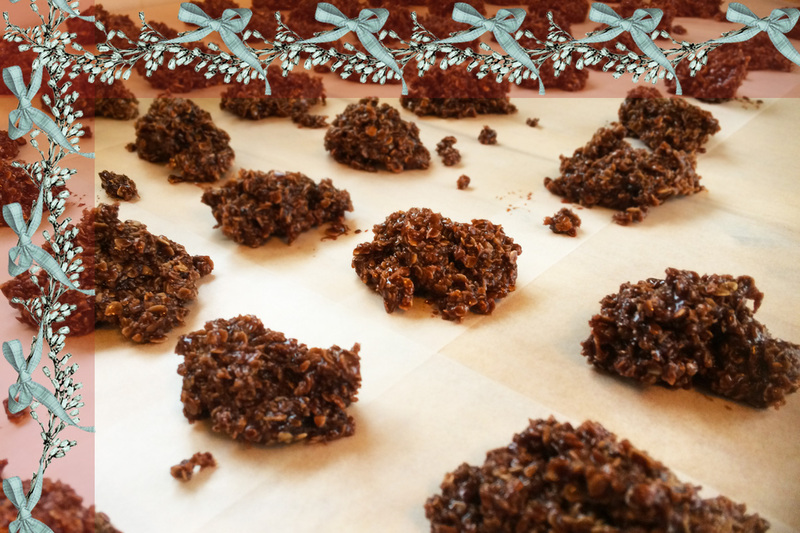 Mix thoroughly drop by spoonfuls onto parchment paper. Allow to cool at least 30 minutes before eating.